October is here, and so is the October 2018 Newsletter – Luther’s Letter. You are invited to read over the current issue. We also have archives of the newsletter going back a few years. We invite you to receive the newsletter by email. Simply send a message to pastordjt@industryinet.com Then the office staff will put your email address on the list. For members of MLLC, you are invited to go with the email edition of the newsletter as well. Contact the church office to sign up. Unless we hear from you we will assume you want a print edition of the newsletter. Please let us know if you are interested. Note that there are some items each year that are distributed in print only. These items will be at the church building for you to pick up. Here is the link to the MLLC Newsletter Archive page. Click link. This Sunday, May 20, is the Day of Pentecost. This is one of the three main Festival Days of the Church Year. The others are The Resurrection of our Lord (Easter Sunday), and the Nativity of our Lord (Christmas Day). You are encouraged to wear Red to help celebrate the giving of the Holy Spirit on the Day of Pentecost. On Pentecost we celebrate the giving and pouring out of the Holy Spirit of God on his people. This took place first in Jerusalem when thousands of Jews were gathered in the city for the Jewish Festival of Pentecost. It is also known as Shavuot. This Jewish festival celebrates two major items. One is to celebrate the grain harvest at that time of year in the Holy Land. The other reason of the celebration is to give thanks for the giving of the Covenant at Mt. Sinai, including the Ten Commandments. It is understood that it took 50 days for the Children of Israel to travel to Mt. Sinai after the Passover and their release from slavery in Egypt. The Holy Spirit was given to the Church on that day. The 120 Christians were then sent out by the Holy Spirit to proclaim the might works of God to the gathered Jews. These visitors were from all over the Mediterranean world, and they spoke a number of different languages. The small band of Christians were given the supernatural ability to speak the Word of God with boldness so all would hear of the great things God had done through Jesus Christ. The response was powerful. That day 3000 people responded to the Good News and became Christians. There were 3000 baptisms that day. Read about these events in the Book of Acts, chapter 2, in the New Testament. We look forward to seeing you at worship this Sunday, May 20. Worship at 10:00 a.m. Remember to wear something red this Sunday. The City of Carmine organizations are working together to offer an egg hunt for children on Saturday, April 15. We at MLLC are thankful for the opportunity to serve our community alongside other caring people in Carmine. The Egg Hunt will be held at the park in the middle of town on Saturday, April 15 at 10:30 a.m. Here is the flier for the event with all the details – click this link. Special Music Concert – Sunday, January 8, 4-6 p.m. at MLLC. All are invited. We invite you to attend the “11th Night Concert” this Sunday, January 8, 4-6 p.m. at Martin Luther Lutheran Church in Carmine. 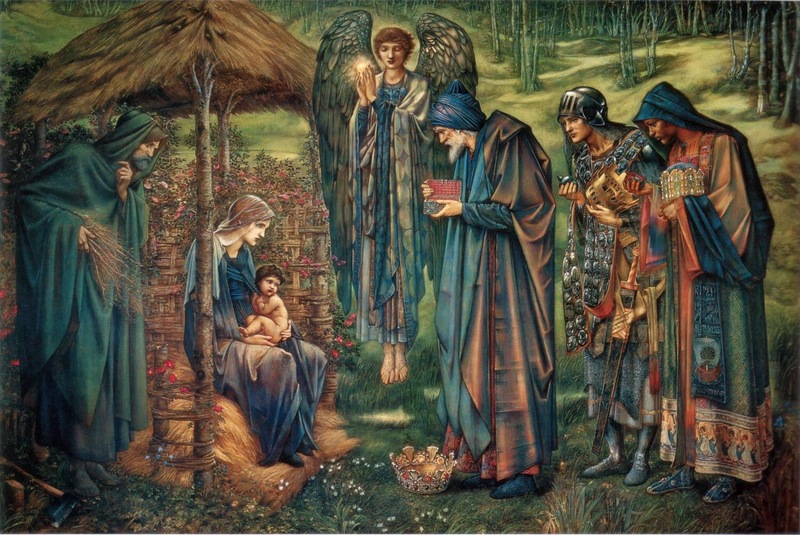 There will be various musicians and singers presenting Christmas and Epiphany songs. A reception will follow. The musicians will be from various area Lutheran churches. The page where we make note of various upcoming special events has been updated. We encourage you to check on that page for various updates throughout the year. As we are entering the more festive part of the church year there will be several items of note. More updates will be coming in the weeks ahead. Here is the link to that special page: Click here.